We would like to thank our corporate partners and sponsors for their continued support of our American Heroes. “Defenders of Freedom” is a 501c3 Non Profit Organization committed to supporting deployed Troops around the world with personalized care packages, aid wounded Troops in their transition to civilian life and empowering all Veterans of Operation Iraqi Freedom, Operation Enduring Freedom, and Operation New Dawn with life & career mentoring, job search assistance and general transitioning to the civilian sector. If you would like to be a part of Defenders of Freedom, contact us. 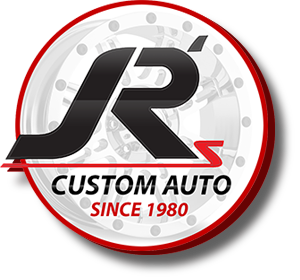 Since 1980, JR’s Custom Auto has built hundreds of vehicles each one being a showpiece for its client. We stand on our trusted values of friendly customer service, expert craftsmanship and vehicle life support and care. U.S. Bancorp (NYSE: USB), with $321 billion in assets, is the parent company of U.S. Bank, the 5th largest commercial bank in the United States. The company operates 3,086 banking offices and 5,086 ATMs, and provides a comprehensive line of banking, brokerage, insurance, investment, mortgage, trust and payment services products to consumers, businesses and institutions. US Bank is nationally recognized as one of America's top corporate supporters of the U.S. military and military families. They have won numerous awards. Their Bankers in Books program is committed to be a leader in hiring Veterans. Lockheed Martin is an American global aerospace, defense, security, and advanced technology company, with worldwide interests. It was formed by the merger of Lockheed Corporation with Martin Marietta in March 1995. Lockheed Martin is one of the world’s largest defense contractors; In 2009, 74% of Lockheed Martin’s revenues came from military sales. It received 7.1% of the funds paid out by the Pentagon. Lockheed Martin operates in five business segments. These comprise Aeronautics, Information Systems & Global Solutions, Missile and Fire Control, Mission Systems and Training, and Space Systems. In 2009 US Government contracts accounted for $38.4 billion (85%), foreign government contracts $5.8 billion (13%), and commercial and other contracts for $900 million (2%). In both 2009 and 2008 the company topped the list of US Federal Contractors. The company has received the Collier Trophy six times, most recently (in 2001) for being part of developing the X-35/F-35B LiftFan Propulsion System, and again in 2006 for leading the team that developed the F-22 Raptor fighter jet. Lockheed Martin is currently developing the F-35 Lightning II. Headquartered in Southlake, Texas, Patriot Financial Services & Payments provides merchants, community banks, credit unions, religious organizations, and non-profit organizations with a full suite of Merchant Services solutions. Patriot FSP offers next day funding, integrated American Express, no early termination fee, and equipment is sold at cost. Patriot FSP was started in order to provide all merchants, regardless of size, with fair and competitive pricing as well as excellent customer service. Today, we’re the leaders in driving and enabling connected commerce. Realize your strategic objectives with services that range from analysis, consulting and installation to monitoring, maintenance and multi-vendor solutions. Dan Dipert has been a long time supporter of Defenders of Freedom. They generously provide transportation for our Veterans attending our annual golf outing. Dipert Travel & Transportation, Ltd. has been family owned and operated since 1972 and is a leader in the tour, travel and transportation business. We are member of the National Tour Association (NTA), the International Motorcoach Group, United Motorcoach Association as well as the Arlington, Dallas and Fort Worth Convention and Visitors Bureaus. Dan Dipert has come to be known as one of the most reputable, cutting edge tourism businesses in North America. Our commitment to providing the best possible travel experience at the best value has earned the confidence and repeat business of our customers. We hope you will be our next customer. We are proud to partner with Microfiber Greens Towel! We used their towels at our golf outing last year and heard many positive comments about them. The mission of Warfighter Hemp is to provide our nation’s veterans with an organic, non-addictive, non-psychoactive means to manage pain, lower anxiety, and improve the overall quality of their lives. Defenders of Freedom is pleased to announce a special partnership with Patchover Designs. A Dallas, Texas based company who services Veterans, Law Enforcement and Fire departments for logo wear, patches and special items. Customize Units Logo’s, Unit Crests and logo’s of all types on t-shirts, sweat shirts, patches, and hats. Mention Defenders of Freedom and enjoy a discount as well as a portion of your fees being donated back to Defenders of Freedom. Contact them at USAproud@patchoverdesigns.com to inquire how you can customize your unit, team, department patches and clothing now! Steadfast Fitness & Performance is a personal training facility developed and facilitated by Isaiah Stanback (former Dallas Cowboy, Super Bowl XLVI Champion) and Jared Harrison (former University of North Texas Wide Receiver). Jared has been a Diabetic since 2009 and still has managed to accomplish all of his goals. With a balance diet and consistent exercise, Jared has no problems with his daily obstacles. Understanding that people have varying fitness goals, our trainers will work with each client to provide a uniquely tailored fitness and nutritional program to promote a healthy lifestyle. Steadfast Fitness & Performance is also committed to the development and success of aspiring athletes, from little league to professionals. Steadfast Fitness & Performance will provide the training and mentorship required for athletes to reach their full potential. We also accommodate prenatal and postnatal clients with specialized fitness programs tailored to meet their fitness goals. Helping foster fellowship and brotherhood through fitness! This program is supported by a grant from the Texas Veterans Commission Fund for Veterans' Assistance. The Fund for Veterans' Assistance provides grants to organizations serving Texas Veterans and their families.